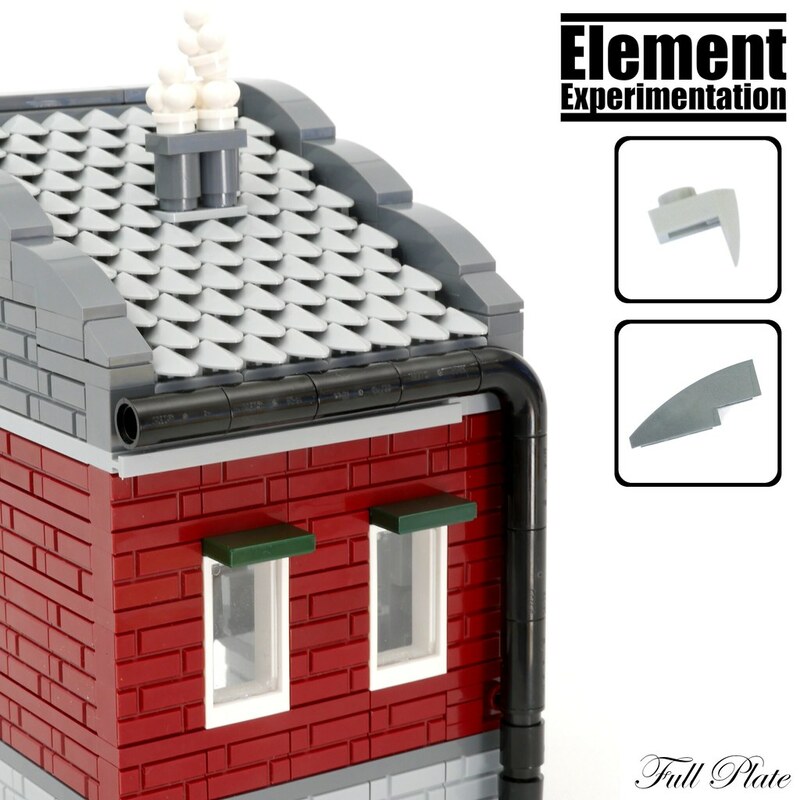 The roof technique is basically what I thought was interesting here. Then I figured that a stand-alone roof is not that exciting to look at, so added an upper story of a townhouse to bring it together. I’m quite happy with how snugly I was able to fit the chimney in, since usually tedious techniques like these usually falls apart at any break in the pattern.